We are very proud to introduce the latest versions of the Celtic Knot Font- Charted 12G and Charted 12B! 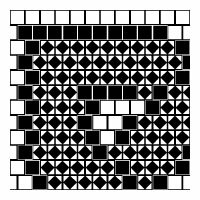 These two fonts were created especially for Beadwork, Cross Stitch, Intarsia Knitting, Samplers, Tapestry, Blackwork, Canvas Embroidery, Hooked Rugs, or any charted craft or needlework. Don't miss the Free Pattern of the Month further down the page! 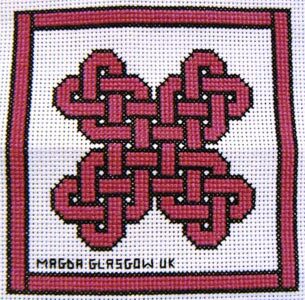 To learn more about how the Celtic Knot Font works, and see lots of examples of beautiful crafts created with it, please visit our crafts page (most of the examples shown are made with Styles of the Celtic Knot Font other than Charted, but they all work exactly the same - only the appearance of the knotwork is different - and knots made in one Style of the Font can be instantly switched to any other Style). Get the discount package with the Charted Fonts and Pattern Pack - save 25% ! Order securely online now and you could be printing out new craft patterns in minutes! Orders are processed by PayPal on a secure server. You can use a credit card, debit card, PayPal, or e-check. (You do not need to have a PayPal account, but if you do, please be sure the email address listed is current because that is where your download will be sent.) If you prefer to order by mail and pay with a check or money order, click here instead. You may also place your order by calling (707) 393-1638 (9am to 9pm Pacific Standard Time). If the shopping cart does not appear when you press the Add To Cart button, you may need to turn off your POP-UP BLOCKER. Thanks! Downloads are delivered by email. Please allow up to a few hours for delivery. If you don't see the email with your files, please be sure to check your spam folder. Choosen item will be delivered by download. 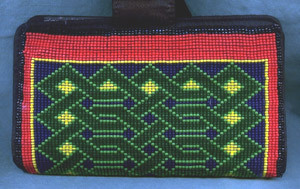 Designed for bead looms, crochet, needlepoint, cross stitch, and any craft that uses a grid based pattern. Create your own patterns in any size and shape you want. Download link delivered by email. No shipping and handling charges . 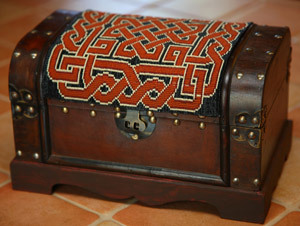 Designed especially for beadwork in Peyote, Comanche, and Brick style. 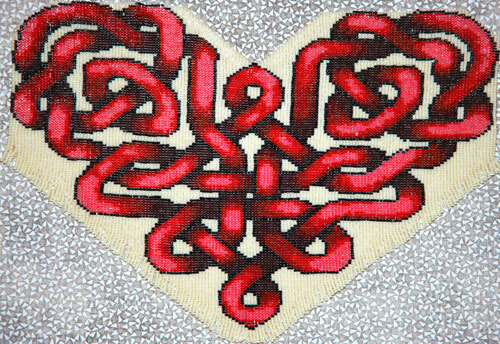 Create your own beadwork patterns in any size and shape you want. 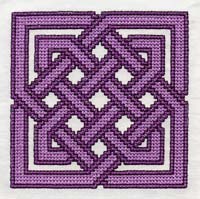 This new pack contains an astounding 262 charted Celtic patterns, ready to use as they are, or modify them to suit your needs. 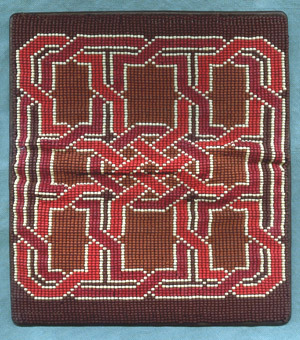 The Charted Pattern Pack was specially created with a selection of knots appropriate for beadwork, cross stitch, needlepoint, and other crafts requiring charted patterns. 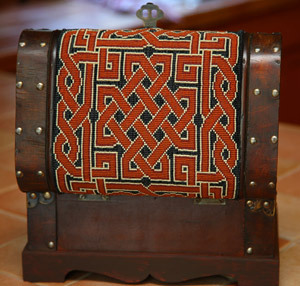 The package includes an assortment of Celtic knotwork designs - borders, medallions, crosses, hearts, and a variety of other decorative elements. The new pack includes selections from all 3 of our popular Pattern Packs. 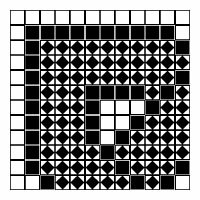 Grid Style for bead looms, crochet, needlepoint, cross stitch, and any craft that uses a grid based pattern, and 12B for beadwork in Peyote, Comanche, and Brick style. Create your own beadwork patterns in any size and shape you want. 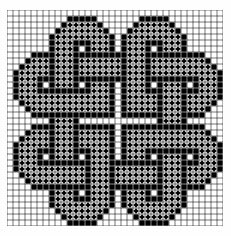 Grid Style for bead looms, crochet, needlepoint, cross stitch, and any craft that uses a grid based pattern, and 12B for beadwork in Peyote, Comanche, and Brick style. 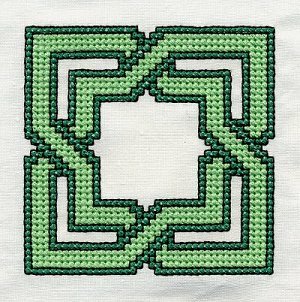 Create your own beadwork patterns in any size and shape you want. This set also includes the Charted Pattern Pack with 262 designs. These Fonts and Pattern Packs will work on any Windows system (PC), Mac, or Linux computers with no special requirements. If you need help or have questions, just email us or call (707) 393-1638 to order. 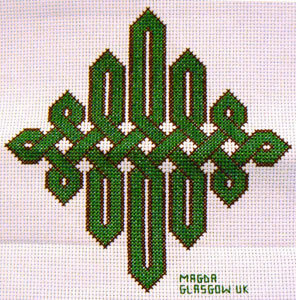 Want to continue shopping and see what other style of the Celtic Knot Font are available? Click here to see what else is new! We offer a 100% money-back guarantee if you are unhappy for any reason, free technical support if you have any questions, and lifetime replacement downloads should you ever need a new one. This is just one of the more than 250 patterns included in the Charted Pattern Pack! Get them all for just $44.